This letter is in response to Michelle Hale’s opinion on Sept. 17. With all due respect ma’am, how dare you play the race card. I knew it was only a matter of time before someone (in a letter to the editor) would attack opposing views of the current administration based exclusively on race. Ma’am, need I remind you that the parental rights of school-age children is none of your business. If parents chose not to allow their child(ren) to participate in President Obama’s speech, that is their right to do so. Your superfluous claims of racism are nonsensical. Ma’am, you set forth in your letter asserting the deficiency of respect for the president. Need I remind you also of those nasty liberals who, not satisfied with trashing George W. Bush for eight long years, are still at it. Then again, you did a little bashing of your own as well. As if those who oppose the policies of President Obama are misconstrued as racists, we are also a gathering of right-wing extremists misbehaving in our country. So far as I’m concerned, respecting the office of the president has nothing to do with loving America and everything to do with the man occupying the White House. The way I see it, it makes no sense to respect a man, whom I believe is single-handedly destroying America, and that has nothing to do with race. Have a great day. 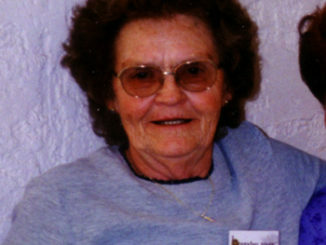 Lorine U. Nielsen, 83, passed away July 10, 2009, at the Community Hospital in Grand Junction. Lorine was born on Aug. 5, 1925, in Caldwell, Texas, to Emil and Hattie Uhlig.